I’m a pretty big fan of breakfast. Many morning staples are some of my favorite foods… eggs, bacon, sausage, pancakes, oatmeal, you get the picture. Unfortunately, having a full course breakfast isn’t plausible on a week day (at least not for the two of us!). I’m still able to have at least an egg and toast most mornings, but there are definitely days where I quickly eat some Kashi cereal while simultaneously packing my lunch before heading out the door to work. So when I saw a recipe on Pinterest for a blueberry oatmeal bake that made six servings, I thought this would be a great quick and easy breakfast option to have on hand, especially for Chip, since he’s usually out of the house pretty early to go get some studying in before work. I’m not sure what I like more about this recipe: how good it tastes or how easy it is to make. Try it out!! Lightly grease a 2-quart baking dish. In a medium bowl, mix the oats, half of the walnuts, baking powder, cinnamon, and salt. Stir to combine. In a liquid measuring cup, combine the syrup, milk, egg, butter, and vanilla. Reheat your serving in the microwave in the morning and enjoy! 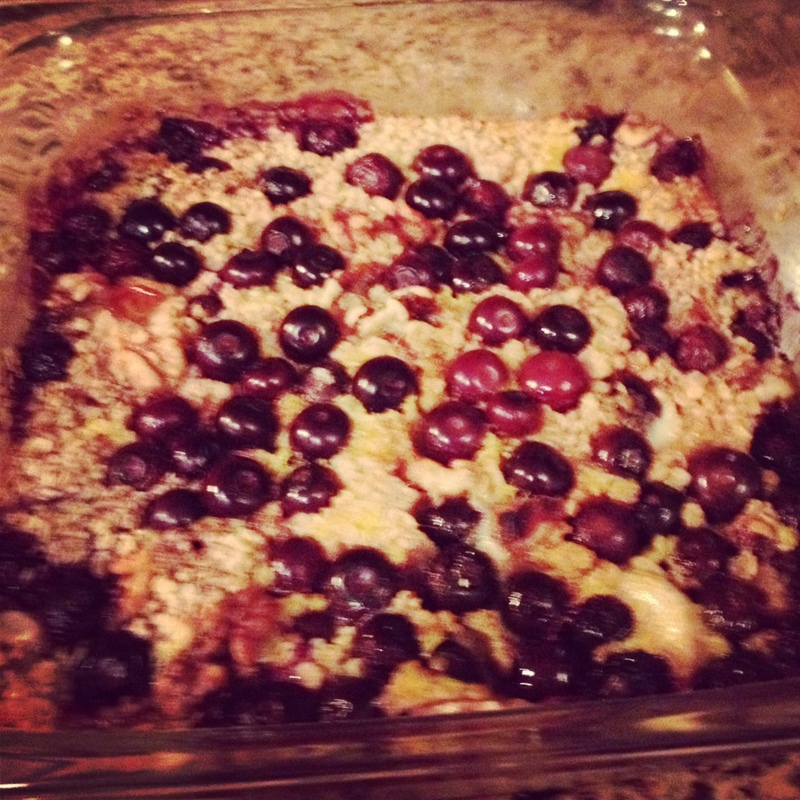 This entry was posted in Cooking and tagged baking, breakfast, oatmeal on January 22, 2013 by the nance familia.